A leak isn’t enough to stop Game of Thrones from breaking new ratings records with its final season. The show has been off the air for nearly two years, and now there’s definitive proof that fans have definitely been missing it. That proof comes from the first ratings data released by HBO in the US. That’s up “significantly” — as HBO puts it — from Game of Thrones’ all-time record-breaking audience of 16.5 million viewers watching the season 7 finale in 2017. It’s also a huge increase over the 10.1 million who saw last season’s premiere on the night. 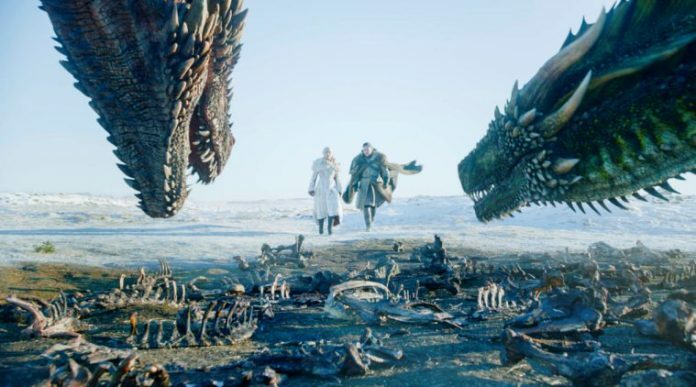 It’s not like the show needs any more praise lavished on it, but the ratings record is even more impressive since premiere episode ‘Winterfell’ leaked hours before its scheduled transmission. A day later, we can’t imagine anyone at HBO is still too upset about the leak now that they have an all-time ratings record to brag about.